The 2019 Toyota Avalon is a 5 passenger Automatic transmission, 4-door Mid-Size Passenger Car. It is available in 7 trim packages, the Hybrid Limited, Hybrid XLE, Hybrid XSE, Limited, Touring, XLE, and XSE. The new Toyota Avalon invoice price ranges from $31,996 to $38,566, while MSRP ranges from $35,550 to $42,850. 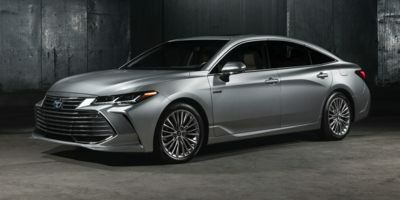 The 2019 Toyota Avalon is available in 8 exterior colors, Brownstone, Celestial Silver Metallic, Harbor Gray Metallic, Midnight Black Metallic, Opulent Amber, Parisian Night Pearl, Ruby Flare Pearl, and Wind Chill Pearl, and 4 interior colors, Black, Cognac, Graphite, and Harvest Beige.